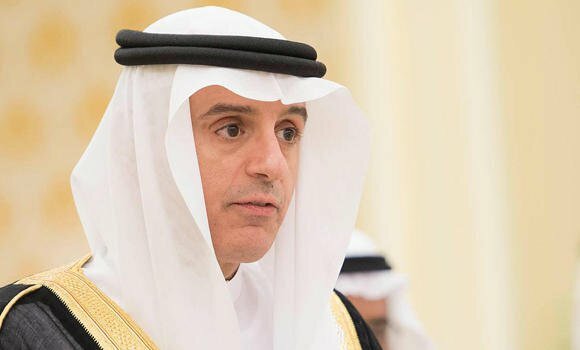 Saudi Foreign Minister Thursday indicated that a solution to the diplomatic feud opposing Saudi Arabia, United Arab Emirates, Bahrain and Egypt to Qatar would come from within the Gulf Cooperation Council (GCC) and not the Arab League. Saudi Arabia is hosting the 29th Arab League summit in Dammam this week. Qatar has been invited to the summit as member of the League, but it is still unclear if the Emirate will attend and at what level. Asked by AFP whether the Summit will table the crisis opposing the quartet to Qatar, Adel al-Jubeir noted that it will not be discussed at the Arab League level, but rather within the GCC framework. “The solution of Qatar will be within the GCC,” Jubeir said. Saudi Arabia, UAE, Bahrain plus Egypt severed ties with Qatar in June 2017 over its alleged support for terrorism. The four cut off air, sea and ground links with the tiny gas-rich country and issued a 13-demand list, which includes the shutdown of Doha-based al Jazeera news network and reduction of ties with Iran. Qatar has permanently denied any wrongdoing arguing that the quartet seeks to turn it into a vassal state. Kuwait and Oman, also member of the GCC, tried to mediate the crisis but to no avail. As a sign that no solution to the crisis is coming any time soon, Saudi Arabia is reportedly planning to build a canal dubbed “Salwa” along its border with Qatar. The canal upon completion will turn Qatar into an isolated island. Posted by KanelkaTagba on Apr 13 2018. Filed under Gulf News, Headlines. You can follow any responses to this entry through the RSS 2.0. Both comments and pings are currently closed.